Amazon's deals on videogames actually aren't just available on Monday, December 2nd - but all week long with lightning deals every hour all week. If you want to check on the latest deals I suggest you bookmark this link. Here are some highlights we've found for co-op gamers. 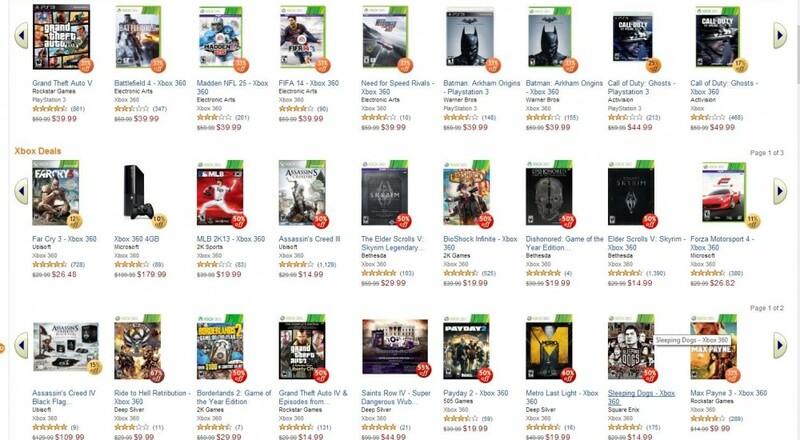 Remember to keep this Amazon Cyber Monday Videogame deals page handy. There's some killer deals upcoming, including Saints Row IV: Collector's Edition - the one with the dubstep gun. All the above links support Co-Optimus.com. Page created in 0.7025 seconds.